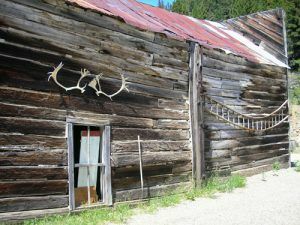 Once filled with mining activity, Rimini, Montana is mostly quiet now, inhabited by a just a few full-time residents, and a number of people who flock to the area in the summer months, many of whom make their homes in restored miner’s cabins. 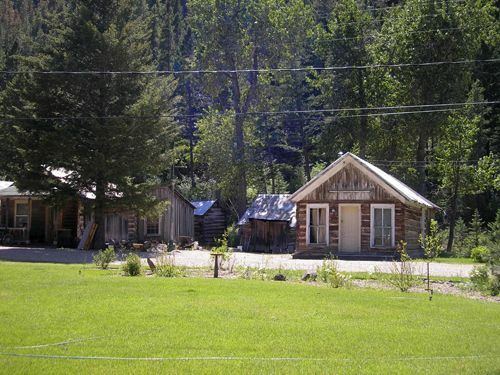 Sitting in the narrow Ten Mile Creek Valley between Red Mountain to the east and Lee Mountain to the West, the mining district got its start when silver lode mining began in 1864. The town and the mining district were named for Francesca da Rimini, a character in the opera Dante’s Inferno, which was popular in nearby Helena at the time. 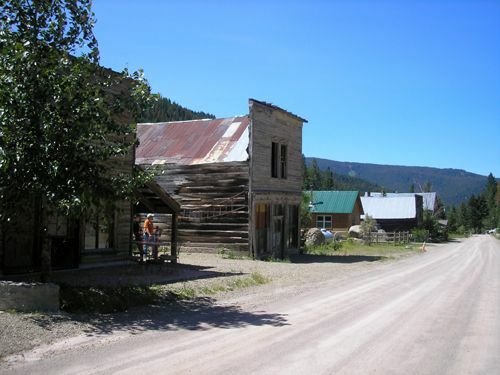 Though the mining district, which would eventually support more than 100 mines and is one of the oldest mining districts in Montana, was most often referred to as Rimini, it also went by other names including, Lewis and Clark, Tenmile, Vaughn, Colorado, and Bear Gulch. The Lee Mountain Lode was first discovered in 1864 and the Eureka Mine in 1865, followed by numerous others. However, transporting the ore was difficult, so the district wouldn’t boom until 1885 when a Northern Pacific spur line was constructed to the district. At that time, a number of new mines were developed, with the most productive being the East Pacific, Lady Washington, John McGraw, Eureka, and Porphery Dike. 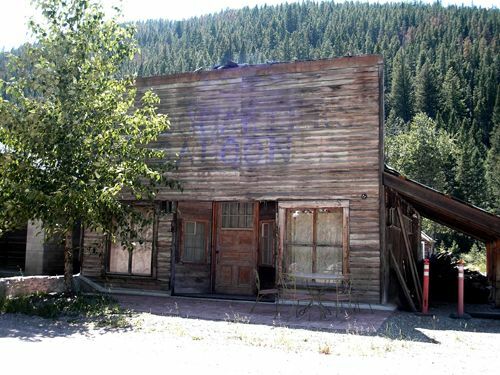 By 1890, Rimini was called home to about 300 people and included several hotels and stores; a school; saloons, gambling houses, and pool halls; livery stable; physician’s office; church; several boarding houses; and a sawmill. By the following year, the district was shipping some 400 tons of ore per week to the smelter at Wickes. Like other mining camps, the boom was not to last and with the repeal of the Sherman Silver Purchase Act in 1893 and the resulting low silver prices, many of the miners moved away. By 1898, only the Porphyry Dike Mine was working with any success. However, with the construction of a smelter in East Helena, the town was somewhat revived by the turn of the century. Over the next few decades, several of the mines and the abundant tailings were intermittently worked, but Rimini was dying. By 1920, the town boasted only 20 residents. The Porphyry Dike Mine which survived the silver panic because it was primarily a gold mine, continued to work until 1926 when it was closed by a lawsuit because its mill tailings were polluting the Helena water supply. By 1928 the district reportedly produced up to $7,000,000 in various ores, including silver, lead, zinc, copper, and gold, most of which occurred prior to the turn of the century. Today, Rimini has a growing population of year-round residents and many summer people who utilize both new and old buildings as retreats. The town continues to display a number of historic buildings, some which have been preserved or restored, while others look much as they did decades ago. Some of these include Rose Wilson’s store, the Red Mountain Tavern, an old livery-garage, and the restored 1904 Rimini School-Community Center, which is listed in the National Register of Historic Places. Rimini is located about 12 miles west of Helena just off Highway 12. Turn south on Rimini Road to reach the old townsite.